Why is Ford Protect ExtraCARE the Choice of So Many? 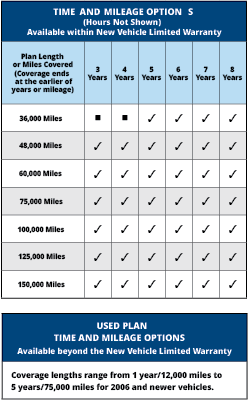 The Ford ExtraCARE plan covers over 113 components on your Ford or Lincoln vehicle. This includes all of your major systems, such as the engine, transmission and drive axle including air conditioning, brakes, suspension, steering, and electrical systems. Loaner car and roadside assistance benefits are included. Online shopping is a great way to save hundreds of dollars on the retail price of your warranty plan. Not only do you avoid overzealous and commissioned salespeople at your local dealership, but working with our team is an easy and pleasurable experience. Call us today for your deep discount price at 1-866-599-6444 or email us at: Quote@SmithWarrantyDirect.com. Please have your vehicle identification number (VIN) and current odometer on hand. Call us today for your deep discount price at 1-866-599-6444 or get a free online quote. There’s no better time than the present. Review our Ford warranty plans to determine which plan is right for you.